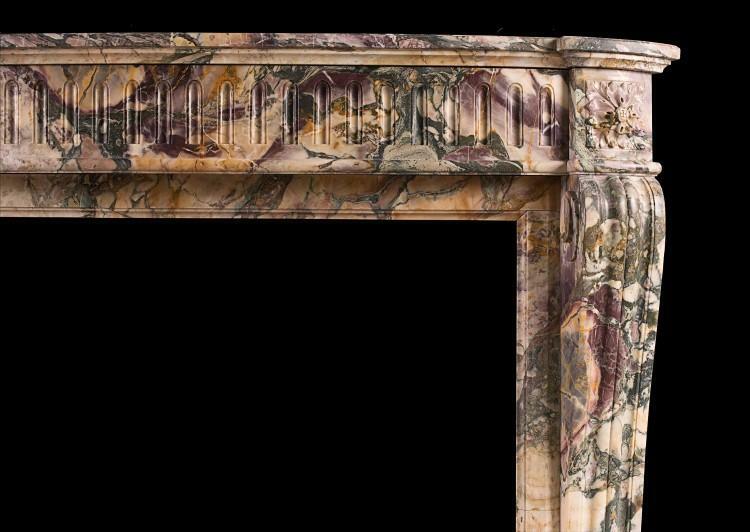 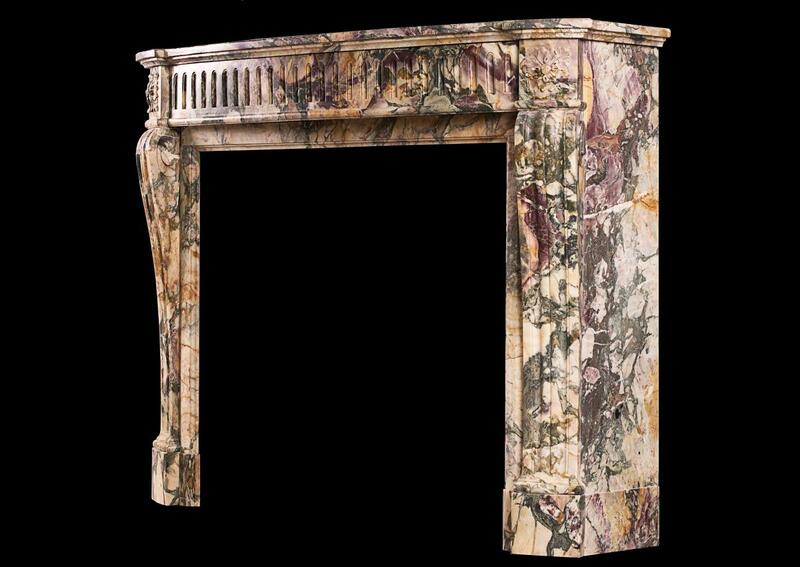 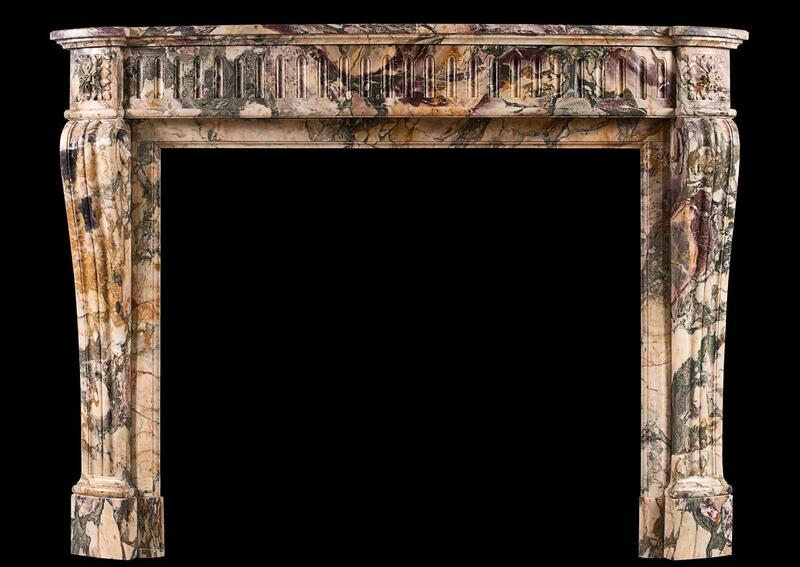 A 19th century French Louis XVI style Breche de Benou marble fireplace. 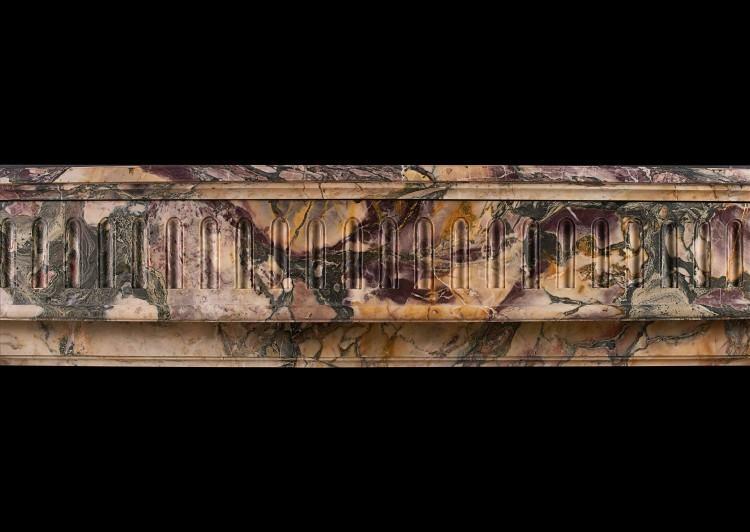 The shaped, scrolled jambs with carved square paterae above. 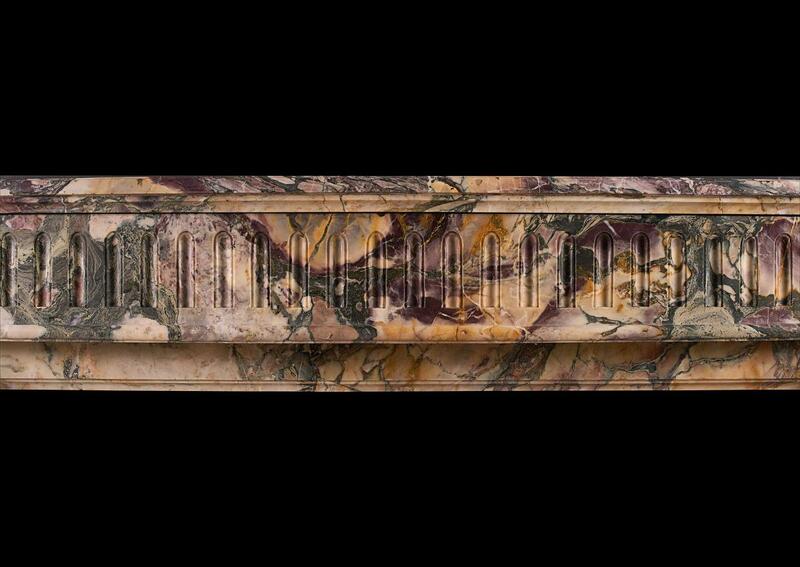 The bowed frieze with flutes throughout and shaped, moulded shelf above. 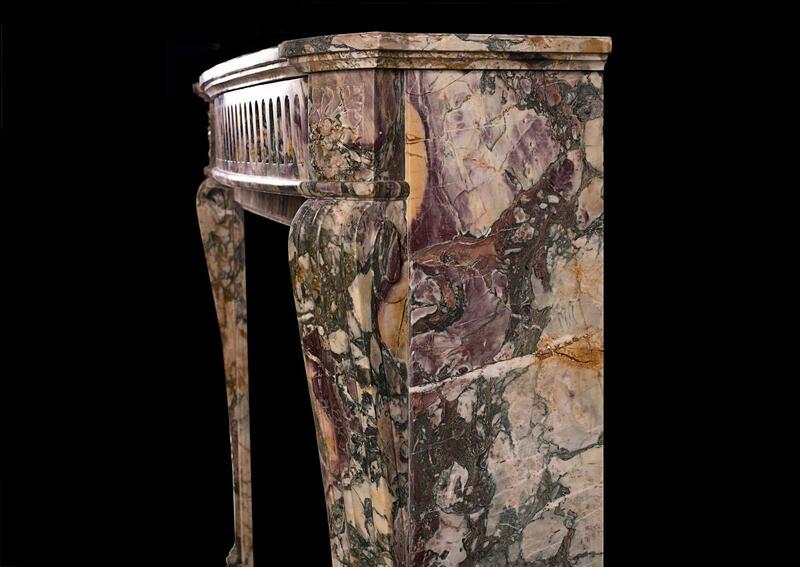 A very rare, striking marble from the Pyrenees.